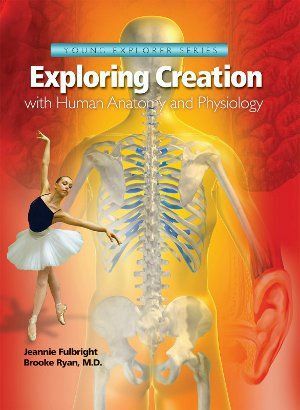 When the chance to review Apologia Educational Ministries' Exploring Creation with Human Anatomy and Physiology curriculum arose, I was intrigued. We haven't used any of their books before, but I have heard many good things about them from homeschooling friends. We use Charlotte Mason's principles in our homeschool, and I had heard that the Apologia books would work well with the approach while providing the structure of a textbook. Apologia's textbooks are quite different from anything I ever read in school, and are written to the student in a narrative style, rather than simply presenting facts. The books are written with Charlotte Mason's philosophy in mind, incorporating narration and notebooking activities. The Young Explorer series, directed at elementary students, follows the days of creation in its topics: astronomy, botany, flying creatures, swimming creatures, land animals, and finally, human beings. Apologia is a Christian company, with lots of resources available in addition to their science products. 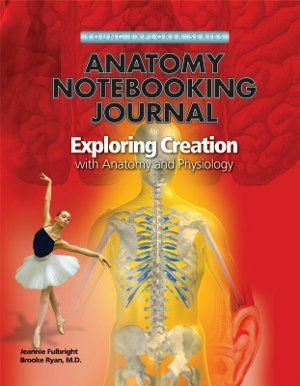 The publisher offers the following items with this curriculum: the Human Anatomy & Physiology textbook, $39.00; Anatomy Notebooking Journal, 4-6, Anatomy Junior Notebooking Journal, K-3, $24.00; and the Human Anatomy & Physiology MP3 Audio CD, $29.00. There is an optional Blood Typing Kit, good for one student, available for $14.00. For the purpose of this review, I received a copy of the Human Anatomy and Physiology textbook, regular Anatomy Notebooking Journal, and MP3 audio CD. I did purchase an extra Notebooking Journal so my girls would each have one. The Young Explorers series is generally for children in grades K-6, but Apologia does recommend Anatomy & Physiology for upper elementary students, 4th-6th. The notebooking journals come spiral-bound, which works well for writing and drawing in them. They also contain the schedule, directing them to narrate what they read, which makes sure we discuss their readings. The schedule also has all activities clearly listed, so you know if there is an experiment to do, etc. There are lots of fun activities: drawing, crossword puzzles, mini-books (like you'd use in a lap book, but they go in the journal) and - EXPERIMENTS! See below to check out some of the fun we had. Because the CD contains an MP3 audio book, you need an MP3-compatible CD player, or you can play it in your computer. For a PC, there is an auto-run program. On a Mac, you double-click on the CD icon and then double-click on the MP3 file you'd like to hear. I love having an audio book to go along with the text. One of my girls gets headaches from reading (we're working on finding a solution for that), so having the option available for her to listen to her assigned pages is wonderful. We enjoyed doing the projects together. 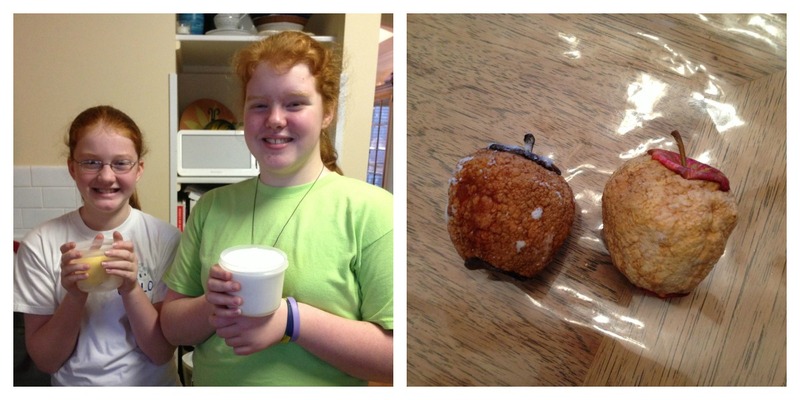 First, we learned how to mummify an apple, to show us what happens when you mummify an organ. We made a mixture of salt and baking soda, and put one peeled apple into that, and left the other one open to the air. We looked at them a week later, and see what happened? The smaller, darker one on the left is the mummified apple, and the one on the right is our control apple. Then, we learned about cells, and all those nifty organelles that live and work inside them. 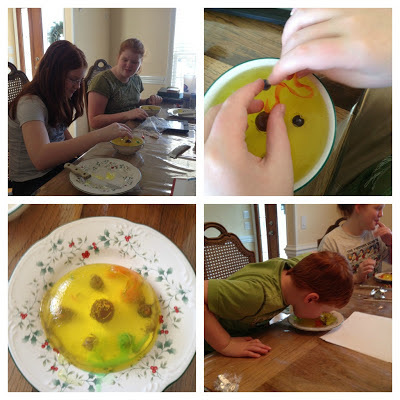 This time we got to make our own model cells with Jell-O and candy. It was a good time to review the function of each organelle, and remind us what they looked like as we compared them to the candy we used to represent them in the Jell-O. The best part was, once they were finished, they got to each all that delicious (?) candy and Jell-O. I believe that was Isaac's favorite part. My girls, who are 11 and 12, have learned a lot during our time with this curriculum. Apologia's book is well done for its intended age group of older elementary, 4th-6th grade. It's written to the student, so they have the schedule and can read on their own. I would love to be able to read everything with them snuggled up on the couch with me, but with a very busy 5-year-old boy in the mix, that doesn't happen as much as I'd like. I was able to utilize the CD to keep up with what they were reading. I found the notebooking journal to be a valuable addition, because it keeps all their work in one place. We've had some difficulty keeping track of our studies in binders during previous studies. I've been able to have the girls read on their own, narrate to me, and then have us all meet at the table or in the kitchen for the activities, since Isaac enjoys being a part of those as well. If you're looking for a gentle, easy-to-follow science curriculum, I recommend taking a look at Apologia. I will be looking at some of the earlier books for use with Isaac, when we start more formal school with him next year. This is a great review! I really like the detail you gave and the photos of the experiments are just fantastic. You did very nice work!